Oh nices, a Final Fantasy XIV benchmark program! Am DLing it now to test it out and see how my PC handles it, and then I'll post my results and score when done! Everyone else should do the same so we can get multiple scores to talk about and help each other with possible upgrades before launch! benchmark including the Hyur Highlander and Female Miqo’te. The test can be run at a low resolution of 1280×720 and a high resolution of 1920×1080. 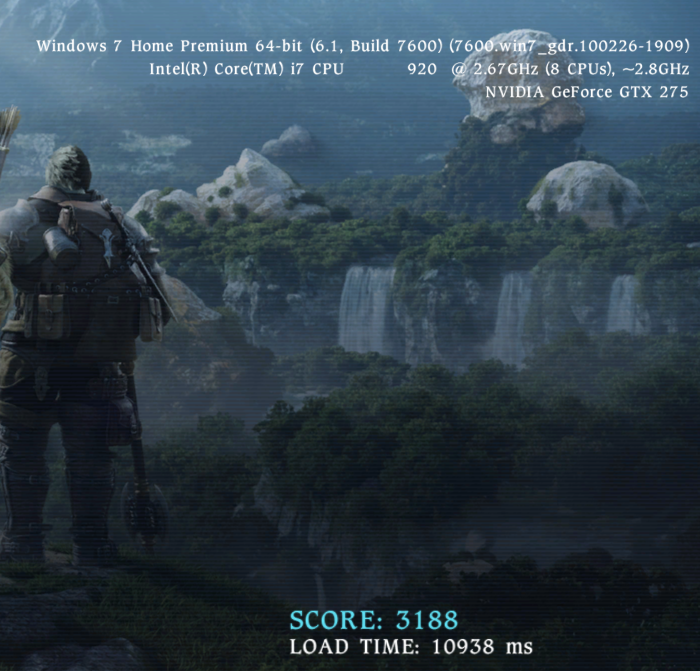 You can download the benchmark from Nvidia here. Many on other forums suggest updating your DX9 Drivers with the latest if you get an error when trying to run it. Capable of running the game, but may experience some slowdown. Adjust settings to improve performance. Nice! I'm downloading it now. Almost done! Since my monitor is 1680x1050, I don't think the High Res version would work too well, but here's my Low version score. Edit: The High res version worked, despite a little bit of it going off my screen. Seems to have gotten the proper score though.